2019 Army Day parade was held on its 71st anniversary. Leaders, celebrities and citizens flood Twitter with messages for men and women in uniform who safeguard our country. 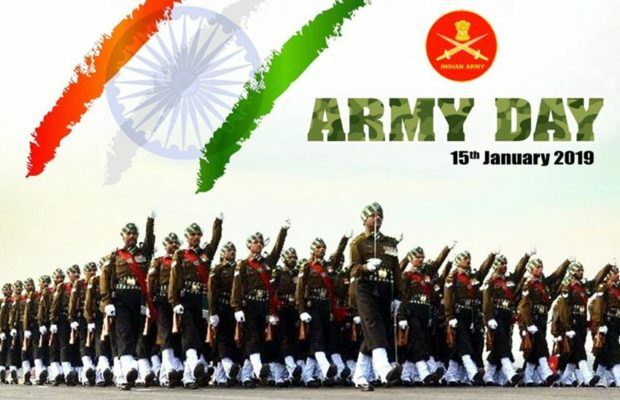 NEW DELHI: Army Day is observed on January 15 in India. On this day in 1949, Field Marshal Kodandera M Cariappa took over as the first Commander-in-Chief of the Indian Army from General Sir Francis Butcher, the last British Commander-in-Chief. Army day is dedicated to the soldiers who fought to safeguard the country’s honour. On 71st Army Day today, leaders, celebrities and citizens flood Twitter with messages for men and women in uniform. From praising the Army’s valour to paying homage to the soldiers who died for the country, Twitter users showered their love and respect for the army. Minister of Youth Affairs and Sports Rajyavardhan Rathore wrote, “Let us proudly honor our army”. On #ArmyDay, a tribute to the brave soldiers of the Indian Army. Every single one of them is the epitome of matchless valor and boundless determination; and embodies the motto of the Indian Army: Service Before Self. Let us proudly honor our army! Jai Hind! “Salute to the extraordinary men,” tweeted former Indian opener Virendra Sehwag.